Recently, the QliqSOFT team exhibited at the National Hospice and Palliative Care Organization‘s annual Interdisciplinary Conference in New Orleans. Over 1,000 providers of end-of-life care gathered to learn about the changing face of their rapidly growing industry. We enjoyed numerous conversations with nurses and providers alike – all focused on the challenges they face in providing care to their patients. Administrators know that their employees are using standard, non-secure SMS texting, but they turn a blind eye. 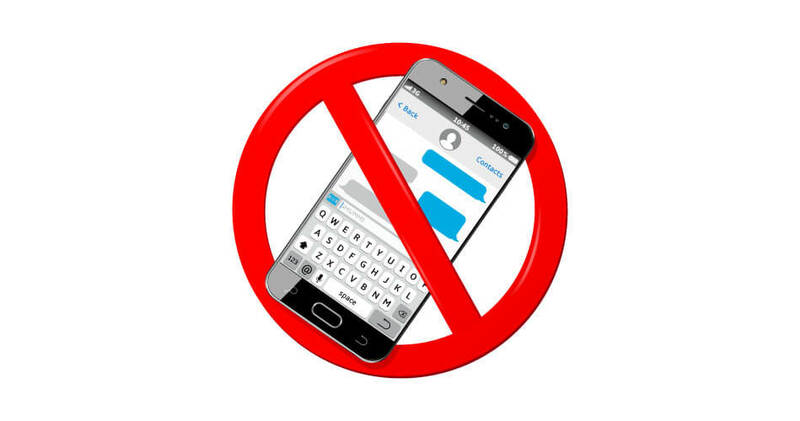 Administrators had in place a full fledge texting ban in hopes of eliminating the threat altogether. While category 1 is clearly a HIPAA data breach waiting to happen, category 2 is more concerning. A ban on any form of texting merely checks a box and often creates a dangerous atmosphere of cloak and dagger covert texting where employees try to find creative ways to skirt sensitive, identifying patient information… all in the hopes to provide better care for those patients. We’ve covered this before in previous blog posts. People love to send text messages. It’s portable, convenient, immediate, and fairly reliable. It allows users to be flexible in how and when they respond to messages without being burdened by certain rules. But despite the convenience, standard SMS texting is just not secure. Our conversations at NHPCO just add to the anecdotal evidence that this practice in healthcare is still alive and well. But why? Many in healthcare share a strong belief that communication as a practice is broken. The Joint Commission consistently identifies poor communication as the root cause of medical errors. With such pressure to maintain this and other accreditations, providers are forced to choose between relying on a broken system or an unsecure method of communication in order for basic, effective care to continue. Administrators need to realize that focusing on banning something deemed effective by users only creates extensive liability issues down the road. This is where secure texting vendors can play a pivotal role in taking your staff’s clinical communication out of the shadows. Secure texting provides an easy-to-use interface that is familiar to your covert texters and allows them to not only communicate with their colleagues but do so efficiently. Secure messaging platforms are built to be HIPAA compliant, so real conversations around patients can take place without worrying about skirting identifying information that could lead to clinical errors. Many vendors even take security one step further by allowing for personal devices to be used without the risk of mixing PHI with personal data, such as photo galleries and standard SMS texting. This Bring Your Own Device (BYOD) approach means that IT departments and other administrators don’t have to worry about providing devices for their employees and realize a major cost savings. To see how secure texting can be easily rolled out across your organization, be sure to request a quick, 30-minute demo here. Our team is ready to show you how easy it is to turn your standard SMS liability into a secure texting win.